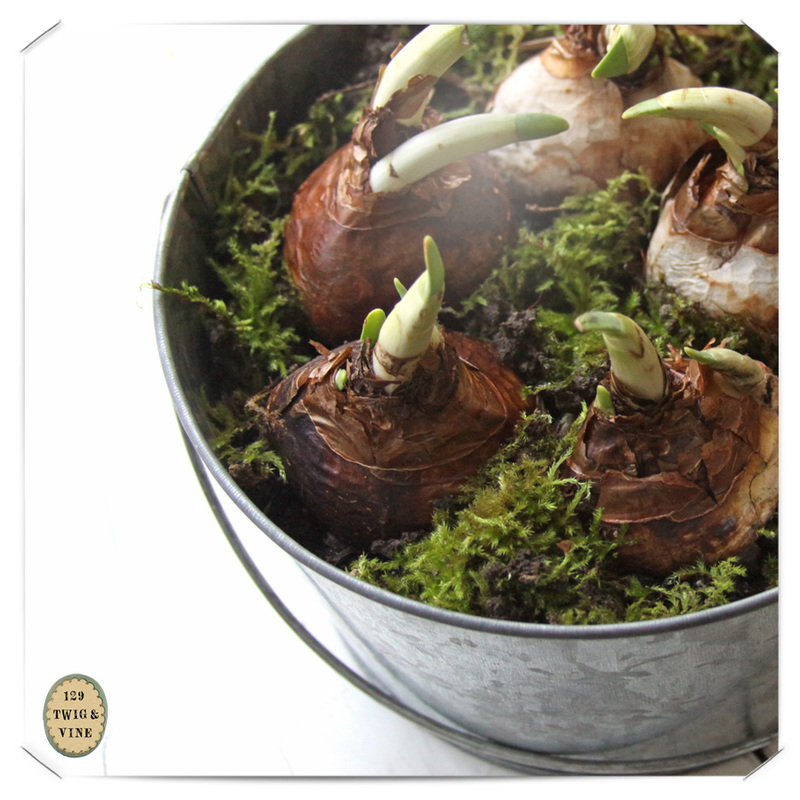 Yesterday I discovered a paper bag with four paperwhite bulbs—forgotten and sprouting exuberantly. I tucked them in among the spent paperwhite bulbs I planted in December. All our outdoor bulbs remain under a thick blanket of snow. 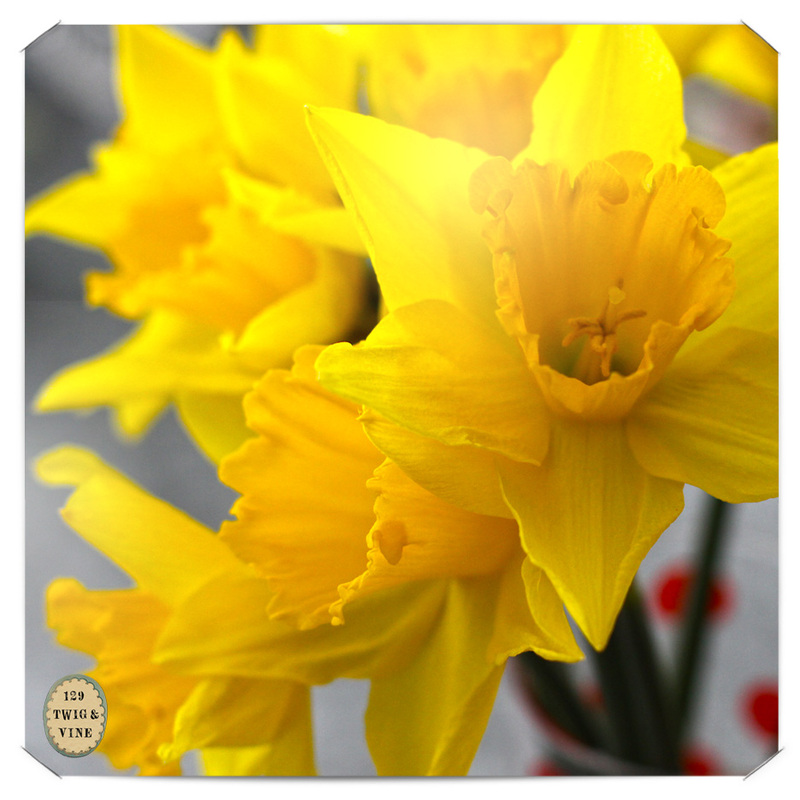 The Irish daffodils are appearing in our markets and were irresistible.Their scent fills the house and nips at the tails of the woodsmoke. They increase my anticipation for a trip to Ireland only six weeks away. Travel and spring. Both worth waiting for, I think. I’m happy to keep the perpetual flow of green indoors until our world shifts to spring. Let’s make a date! I can talk anyone’s ear off about Ireland, so beware. I lerve the place!!! The sun is going down, but these daffodils are like sunrays on the table. Amazing. Yes, getting the big Ireland map out and getting exciting for traveling… Any favorite places in west Cork? Oh my, at first look I thought they were dino claws 🙂 Awesome! Daffodils are my favorite spring-time flower! Thanks so much. I do plan to post plenty of Ireland photos. This is my 9th or 10th trip. I’ve lost track. It’s such a special place to me and enchants me over and over. I hope you go someday.